Designs is a peer-reviewed, open access journal which provides a unifying research framework for a wide range of engineering designs of disciplines and industrial applications, including mechanical engineering, electrical engineering, automation, civil engineering, mechatronics, aerospace engineering, bioengineering, energy engineering, industrial engineering and manufacturing systems are of interest. The primary aim of Designs is to provide a forum for the exchange of ideas and findings from researchers across different disciplines. The Journal will publish original research papers, research review papers, short communication, book reviews and special issues organized by qualified scientists in their expertise areas. Designs encourages researchers to publish the results of their recent theoretical and experimental developments, as well as novel proposals in as much detail as possible so that results can be reproduced. Therefore, there is no restriction on the length of an article. 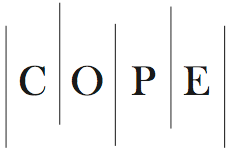 Designs is a member of the Committee on Publication Ethics (COPE). MDPI takes the responsibility to enforce a rigorous peer-review together with strict ethical policies and standards to ensure to add high quality scientific works to the field of scholarly publication. Unfortunately, cases of plagiarism, data falsification, inappropriate authorship credit, and the like, do arise. MDPI takes such publishing ethics issues very seriously and our editors are trained to proceed in such cases with a zero tolerance policy. To verify the originality of content submitted to our journals, we use iThenticate to check submissions against previous publications. MDPI works with Publons to provide reviewers with credit for their work.